Need to remove pet fur, hair or lint from your clothing, furniture, couch, carpeting, bedding, pants or even your car interior? No problem! Our Brush works wonders at keeping these furry places free of unwanted fur, hair or lint; a must-have cleaning tool for your clothes and furniture! Self-Cleaning, No Refills Needed - Unlike your tape-style lint roller, this fur remover brush has been designed to self-clean. That's right. 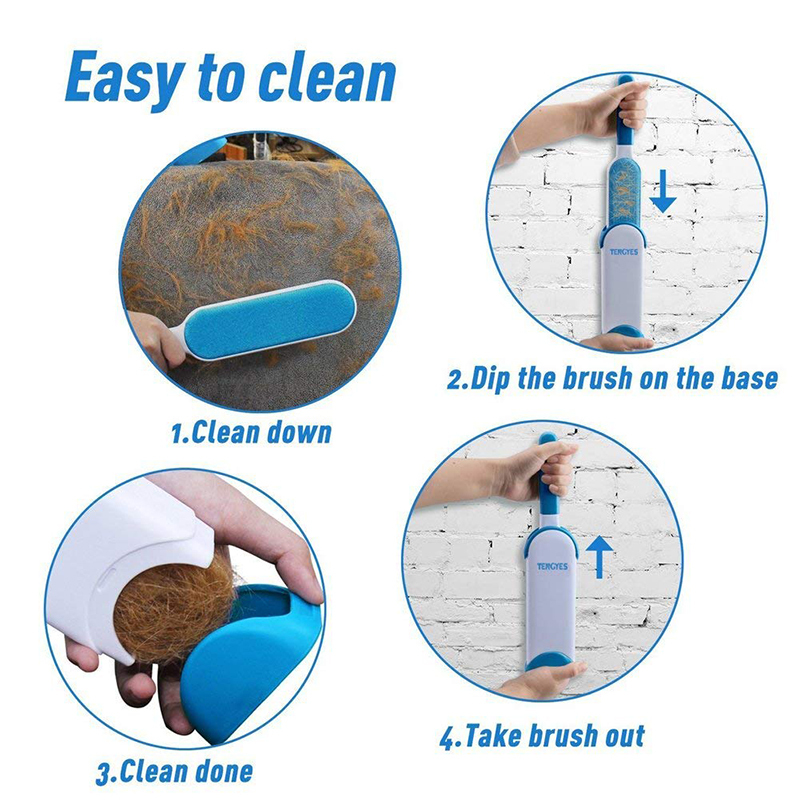 All you have to do is dip the brush into the cleaning base and pull it out. You no longer have to waste money on refills. Satisfied customer purchase experience - It's time to remove lint and pet hair with ease. The product arrived before the estimated time and in excellent condition. Really picks up the Lint of clothing and very fast, the product meets with all the features, i'm happy with the purchase. Amazing thing! Recommend to all who are tired to clean things from the cloth and wool! Thank you, well done! The item was superb and good. Immensely pleasing packaging. Delivery was superb. Item is of first-rate quality. Good furniture product, very fast and the quality is very good furniture to, highly recommended! The product is exactly the that is described. The packaging was slightly damaged, but the product looks OK. Touch looks a little fragile, but a first use comply with the required. -Fast delivery. Thank you so much. Wool really collects. Need To adjust. Recommend. Larger than the expected, but works well! Thank you! Brushes set received. Very fast, just for 2 weeks. Will check on their pets. Thank You Very Much!